For Bible Marking and fine line illustration. 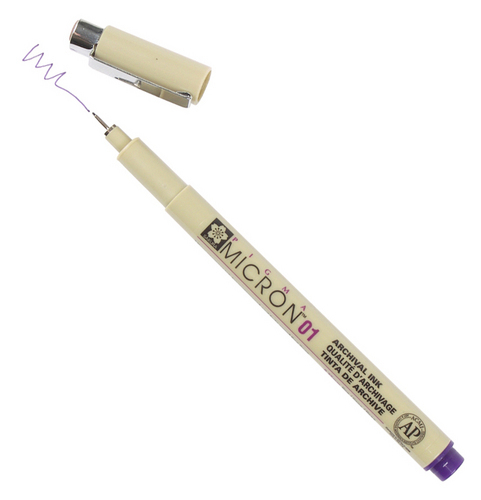 The Pigma Micron Pen is the first fine-point writing instrument offering a water-proof, quick drying, black pigment ink. Unlike dye-based ink found in most pens and markers, Pigma pigment ink offers the following advantages -Archival quality inks, Waterproof, fadeproof and smudgeproof on POROUS surface when dry, No feathering, will not bleed through paper, Excellent copy machine reproduction, Ideal for graphics, drafting - no sedimentation means consistent writing, No ink clogging. Also available in 7 other colours.